Some farms, dairies and feed companies in the San Joaquin Valley of California are facing shortages of livestock feed supplies after deadly river flooding in the Midwest closed major railroad shipping corridors in recent days. Both BNSF Railway and Union Pacific Railroad reported on March 18 that they closed down their tracks over severe weather and record flooding in parts of Nebraska and Iowa because key portions of their lines are under water. That’s causing delays in shipments of corn, canola meal, soybean meal, cottonseed and other commodities that are used for cattle and other livestock and poultry in California. “With multiple washouts and high water on BNSF main lines in the area, several subdivisions remain out of service,” BNSF said in a service advisory to its customers on March 18. A BNSF map showed closures on lines in and around Lincoln and Omaha in Nebraska; Sioux City, Iowa; and Aberdeen, S.D. “We are also anticipating additional closures in the next 24-36 hours involving our Hannibal and River subdivisions that run adjacent to the Mississippi River” between Missouri and Illinois, BNSF said. BNSF’s service announcements indicated that an average of 154 trains — about 10% of all trains on its system — were held last week, an increase of almost 45% from the March 2018 average. Union Pacific’s service map also depicted track closures in eastern Nebraska and northeastern Kansas. While water remained over portions of the tracks in the railroad’s line between Omaha and central Nebraska, “debris has been removed and track structure repairs have begun where water has receded,” the service bulletin reported. The estimated date for reopening that segment of the UPRR system is March 27. “We have this every year, but it’s worse now than ever because California is in such a deficit of feed except for hay and almond hulls,” said Wes Creswick, owner of Clovis-based feed broker Feed Services Co.
Creswick, whose customers include dairy farmers in the central San Joaquin Valley who mix their own feed combinations for their cows, was fielding calls March 18 from farmers who were trying to get their hands on canola meal — the high-protein leftovers from the crushing of canola seeds for oil. “I started out this morning with nine farmers wanting to buy truckloads, but I was only able to get four truckloads, and this is for a commodity they already own and paid for,” Creswick said. Chuck Heuring, a commodity merchandiser with Penny Newman Grain Company in Fresno, said his company and other major grain and feed suppliers up and down the San Joaquin Valley are confronted by the same shortages. “I don’t recall anything like this before,” said Heuring, who’s worked in the feed business for decades. Creswick said he believes that while the railroads are experiencing closures, “we’ve had rail delays for about six months” that have disrupted feed supplies. 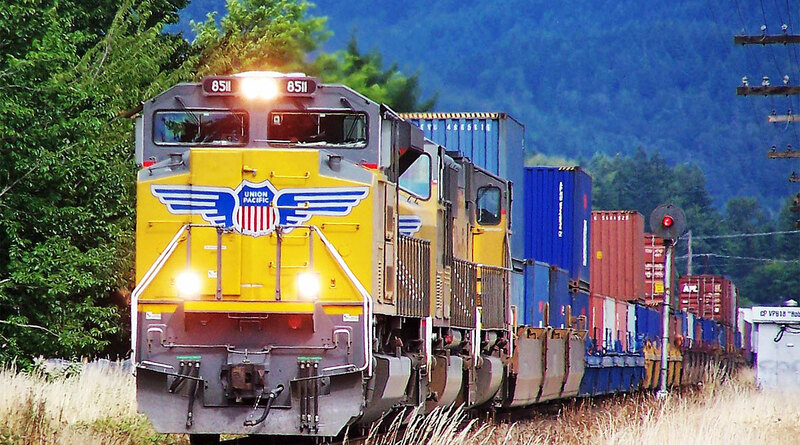 Creswick said that because the major railroads have orders for more trains than they have locomotives to pull them, shipments that generate more money for the railroads are given a higher priority while lower-value shipments like feed supplies sit and wait. “There’s a lot of flooding along the Missouri and Mississippi rivers that just give them more excuses; they can say, ‘It’s Mother Nature’s fault,’” Creswick said.